Running from Nursery – Year 3, Sinai Day Camp is perfect for anyone who wants the magic of a youth movement experience but also wants to be home in time for tea. Sinai Day Camp is a one week, non-residential programme and every day is jam packed with activities your child will love. Whether you are building a robot, pretending to be an acrobat on a bouncy castle, learning to act in our drama sessions, testing your rock star skills in our music workshops, creating masterpieces in our arts & crafts groups or leaving the rest behind in our running races; there will be something for everyone. Every day has been carefully planned to stimulate, educate and entertain and is split equally amongst art, sports and music/drama to enhance key skills in each area. They won’t even notice that they are learning, growing, expanding their minds, exercising their bodies, cultivating their imagination and building self-confidence! You can feel confident that your child is in good hands with Sinai’s trained and experienced young Jewish leaders, plus senior leaders and staff. All our leaders are carefully recruited, thoroughly trained and DBS checked. Our leaders are dedicated to making sure your child has the best week of their summer! 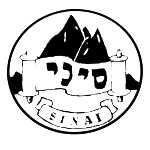 For anyone who wants to experience our magical Youth Movement atmosphere and isn’t quite ready for a residential program, Sinai Day Camp is the perfect choice.